The Kindle Unlimited per-page rate finished 2017 with a Bang, paying over $0.005 per page read ($0.00506394 to be precise). The per-page rate has climbed above half a penny per-page a few times in the past, but usually it is under $0.005. Part of the explanation appears to be KENPC v3.0. Amazon KDP introduced the new KENPC calculation when the per-page rate had dropped to the low $0.004’s in July. The per-page rate has climbed steadily ever since. Part of the explanation may also be that December is a very busy holiday sales month. The KDP Select Global Fund also increased to $19.9 million. While the KDP Select Global Fund has consistently increased over the life of the Kindle Owners’ Lending Library, what’s different now is that for five months the per-page rate and global fund have both increased together. It’s a nice trend. While it’s nice to see the per-page rate and global fund both rising, be prepared. The per-page rate is generally a bit of a roller coaster ride, and when it peaks above $0.005 per page, it may not last long. Be prepared in case it dips back below $0.005 per page, but be hopeful that it stays above $0.005. The global fund tends to climb over time (with only an occasional exception), but history suggests that the per-page rate won’t continue to climb forever (though I’d love to see it prove me wrong). Enjoy it while it lasts, hope it continues, and realize that it has been fairly stable in its oscillation between $0.004 and $0.005 ever since the per-page concept was introduced. Really, neither the per-page rate nor the global fund are the points to worry about. X-ray picture licensed from ShutterStock. Authors can add X-ray to their Kindle eBooks via KDP. Visit Kindle Direct Publishing at kdp.amazon.com. After you login, visit your KDP Bookshelf. Hover your cursor over the gray button with three dots (…) near the right of one of your book titles. If available, you will see an option to Launch X-Ray. Click this link. This will open the X-Ray page for your Kindle eBook, but you won’t be able to do anything yet. Click the yellow button to Request X-Ray. The window will automatically close 20 seconds later and return you to your Bookshelf. You should receive an email once X-Ray is prepared for your Kindle eBook. Although it says it can take a few hours, my emails came within minutes. Now you need to return to your KDP Bookshelf and Launch X-Ray again with the gray (…) button. This time you will be able to do something. I recommend the yellow Begin Tutorial button. It’s very quick and pretty effective. Select the items on the left one at a time. If the item is irrelevant or you just don’t want it to show to readers, click No for the first question and it will be excluded. I had to do this for some terms because a few of the terms were not related to my book, but most of the terms were relevant. Each item must be a character (like Harry Potter) or a term (like astrophysics). Check one. Tip: Click the number of occurrences link and it will show you the terms in context. It’s pretty cool and can help you decide if it’s worth displaying to readers. Either write a custom description or choose a relevant Wikipedia article. For many standard terms, it will automatically select a Wikipedia article. Beware that the article might not be a good fit for the term. It’s up to you to read the article to make sure, or select a different article (or instead enter your own custom text). Click the button at the bottom so that it says Item Reviewed if you wish to keep it. Otherwise, select No for the first question. If it doesn’t say Item Reviewed, the changes won’t be published. Sometimes, you may have a few terms linked together for the same item. In this case, if you click Remove, it won’t actually delete the term. What Remove does is separate the term to be its own item (you can find it somewhere on the list at the left, sometimes far from the other item). I had to do this for a few items. Think: Are there any terms or characters that you would like to add which weren’t automatically included? If so, click the Add New Item link at the top of the list on the left. You won’t be able to see occurrences (or know how many there are) until you publish the changes (though once you publish the changes and they finally go live—it didn’t take too long for me, just a few minutes, but it can be longer—then you will be able to see the occurrences). There may be a few standard terms for which you can’t click the button to say Item Reviewed. This happened to me with Albert Einstein, for example. If that happens, don’t worry. It will be included automatically. If you don’t want it included, click No for the first question (as with any other items that you don’t want displayed to readers). MOST IMPORTANT STEP: Click the yellow button at the top right corner to Review and Publish X-Ray. Otherwise, all your effort will be wasted. You should receive an email when the changes go live. After I received my email (it only took minutes for me, but it can take longer), I opened my book on my Kindle Fire HD, and X-Ray was already enabled (even though I had purchased the book months ago, but only enabled X-Ray minutes ago—indeed, it already had definitions that I had just typed). Below I will describe a bit how it works. The picture below shows X-Ray in action. First, I checked my product page. I scrolled down to Product Details, where I found X-Ray: Enabled. Click the little arrow next to Enabled to see which devices support X-Ray (there is also an elaborate list on one of the KDP help pages that I link to later in this article). On my Kindle Fire HD 8.9″, when the book is open and the menu ribbon shows at the top of the screen, I see a little rectangle with an X, which is the X-Ray icon. When I click on that X-Ray icon, it opens a page with Notable Clips, People, and Terms. Click either People or Terms. I selected Terms. The picture above shows how the X-Ray tool looks after you access it from your KDP Bookshelf. For several months now, I’ve seen the Amazon’s Choice label beside select products in search results at Amazon. So far, I haven’t seen it for book results. For example, I just searched for dictionary, but none were Amazon’s Choice. Evidently, for the time being, it is just for certain types of products, which doesn’t include books. Specifically, it appears to be for common everyday items. As an example, when I searched for toothbrush, one of the top results was labeled as Amazon’s Choice (see the picture for this post). HOW DO YOU GET YOUR PRODUCT LABELED AS AMAZON’S CHOICE? According to Amazon’s Seller Central discussions, sellers can’t request this. Rather, Amazon selects their “choice” based on ratings (not the same thing as reviews), price (“well-priced” products), and Prime shipping. When you proceed to leave a product review, in addition to rating the product, you sometimes get the chance to rate it based on other criteria. So if Amazon has data on other types of ratings for a product, it’s possible that the product rating (the stars left with reviews) may not be the only rating to make a difference. Obviously, having a product labeled as Amazon’s Choice is a huge advantage. But it’s not the only way that products get featured on Amazon. Being the bestseller in a category or subcategory also gets a product featured in search results (even for books). 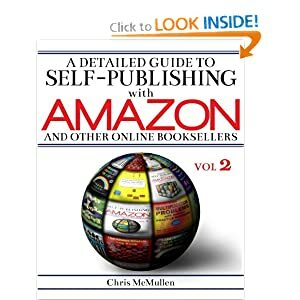 The Bestseller label that appears in search results is just as prominent as the Amazon’s Choice label. Even the “small guys” can get featured in a variety of ways. On most product pages, you can find “Customers Also Bought” lists. When you purchase a product, you find other product recommendations. In general, Amazon recommends products (via Customers Also Bought lists, for example) that have good ratings, are priced “well” (not necessarily the cheapest, but affordable may help), have a proven track record of organic sales (as opposed to referrals from external websites), and have a history of customer satisfaction (Amazon tracks customer satisfaction metrics, a point that is made clear in the Seller Central help pages). Obviously, not every customer will go with Amazon’s Choice. It’s certainly a big advantage for a product to be featured on Amazon (whether it’s Amazon’s Choice, a Customers Also Bought list, or some other way). But it’s not the only criteria. In fact, on several occasions I have discovered products that were Amazon’s Choice, but which weren’t the Bestseller in their category. It is possible for similar products to compete with Amazon’s Choice, at least to a degree. Sometimes, customers purchase many similar items at once. I sometimes wind up purchasing Amazon’s Choice, but I sometimes prefer a different product. I’m a customer who tends to take my time making a decision. I like to look at a variety of products, then give my favorites a closer inspection. One thing I like about Amazon’s Choice is that I trust Amazon more than a review left by someone I don’t know. I still read some reviews to get an idea for the kinds of things that have appealed (or not appealed) to other customers. But all other things being equal, I’m more apt to trust Amazon’s Choice. The good news for other sellers is that very often, all other things aren’t equal. Sometimes another product has a feature that I’m looking for. Sometimes another design appeals to me more. There are many different factors that go into buying decisions. Amazon’s Choice, though it is prominently placed, is just one factor. It’s interesting to compare perspectives. Do you like Amazon’s Choice as a customer? If you were selling a product on Amazon, how would you feel about it? Image licensed from Shutter Stock. There is one book that I’m wrapping up now that has grown and grown and grown… turning into a monster. In a good way. But it has been very time consuming. It’s a good thing that I really love to write. That’s why, in 2017, I didn’t blog nearly as much as in previous years. I’ve been busy with a seemingly never-ending project. Actually, a few very large book projects. One, which I’m in the process of completing, is Kindle Formatting Magic. The other is a series of physics workbooks/study guides. Both projects wound up growing much, much larger than I had originally envisioned. It has taken much more work than I had planned, but it has been worth it. If you’re a writer, have you become involved in any monstrous book projects? Or perhaps as a reader there is a monstrous book or series that you appreciate. 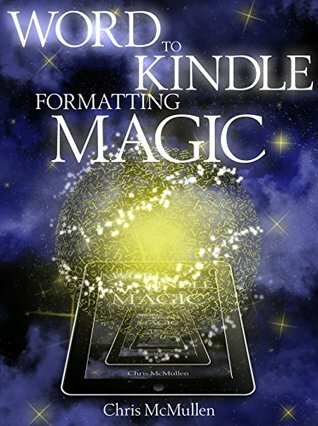 You may have noticed that my Kindle Formatting Magic book has been “coming soon” for several months now. When I first added that note to my blog, the book was nearly complete and I was expecting to publish it in a matter of weeks. But I realized that I wasn’t happy with the organization of the book. So I reorganized it and completely rewrote it. That took a long time, but then I reorganized it and completely rewrote it yet again. Now it really is “coming soon,” though by that I mean it’s still a matter of weeks. But this time it will be a few weeks or more, certainly not a year. The book feels “right” now. It hadn’t before. Once I finally got it to feel “right” to me, it continued to grow. I realized that I needed to add a few more chapters beyond what I had intended. And I have spent a great deal of time putting together over 100 pictures to visually demonstrate important problems and solutions with Kindle formatting. Speaking of which, over the course of this project, there have been numerous changes to Kindle Direct Publishing, including the nature of the previewer and Kindle conversion, the steps and organization of the publishing process, and the organization and content of the KDP help pages. Which has added several revisions to my revisions. This book has grown into a monster, but I’m taking my time. Having already put so many additional months into this book, I want it to feel as “right” as possible before it hits the market. It’s a good feeling to be almost done. I’m enjoying it. Being completely done will be a nice feeling too. This will be far and above my best formatting book ever. If I had only been working on my formatting book, I would have finished months ago. But I also spent much of 2017 completing my series of physics workbooks/study guides. Originally, I planned for my physics workbooks to include problems for students to solve along with answers. But they grew into so much more. I added material to each chapter to help students understand the main concepts. I added definitions. I added full step-by-step examples for how to solve similar problems. I added tables to explain the symbols and units relevant to each chapter. This took much time, but I believe it has made my physics workbooks much more useful. Many of my physics students have remarked that I can make difficult concepts seem clear, and that I can make the math seem easy. So I worked hard to try to incorporate this into my physics workbooks. On top of this, I decided to do more than simply tabulate the answers to the problems at the back of the book. First, I put the final answer to each problem on the same page as the problem. This way, students don’t have to hunt for answers in the back. They can check if their solution is right or wrong immediately. I want students to gain confidence by solving problems correctly, but if their solution is wrong, I want them to know it so they can seek help. 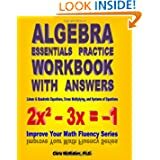 In the back of the book, I typed up numerous hints to every part of every problem, and give intermediate answers to help students see where they went wrong. 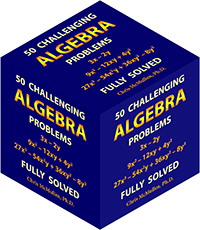 The “hints and intermediate answers” section practically walks the student through the entire solution. Again, it was much more work than I had originally planned, but I believe it has made my workbooks much better. Just in case that wasn’t enough, I also typed up full solutions to every problem with explanations, creating three new books. They aren’t really intended to be solutions manuals, even though they are. These are presented as fully solved examples. 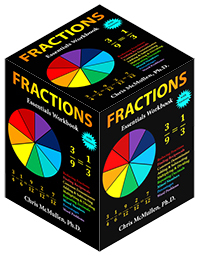 Some students prefer to have fully solved examples to read, while other students prefer to have a workbook to help them practice solving problems. Then I have two versions of every book, one that includes calculus and one that doesn’t (I call those trig-based). I finally completed the physics series a few months back, and now I’m finishing up my formatting book. Sometime early in 2018, I will be able to pursue something new. It won’t be a book monster. I need a little break from mammoth book projects. I’m looking forward to working on a project that’s more focused.